Lakewood, Colorado? That’s right! Mission:Repair’s newest location opened it’s doors today. We had several customers walk in and even answered a few phone calls directly to this new location on our very first day. In need of an iPad 2 screen repair? Is your iPad Mini not charging correctly? No problem. 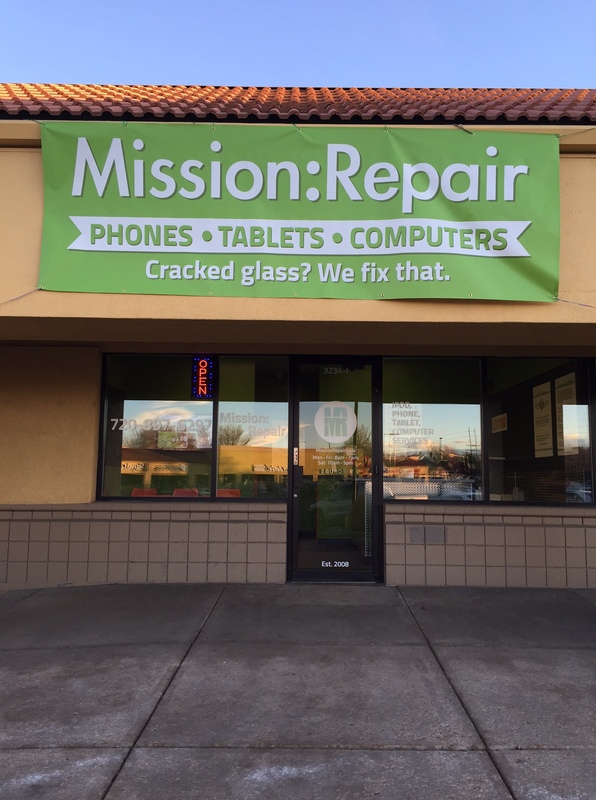 Mission:Repair is Lakewood’s premiere iPad repair center and we are here to help. Once we receive your device we will test your unit and diagnose the problem. One of our certified technicians will then replace the defective part or cracked screen with a brand new one and get your unit back to you good as new and as fast as possible. So, if you are in the Denver or Lakewood area and are in need of an iPod, Smartphone, Tablet or Laptop repair, visit us at 3234 S. Wadsworth Blvd in Lakewood, CO 80227 or give us a call at 720-897-6297. Chris, The Store Manager, is eager to help all of our customers the best way he can. Stop by today, we’d love to meet you and talk about your repair needs. 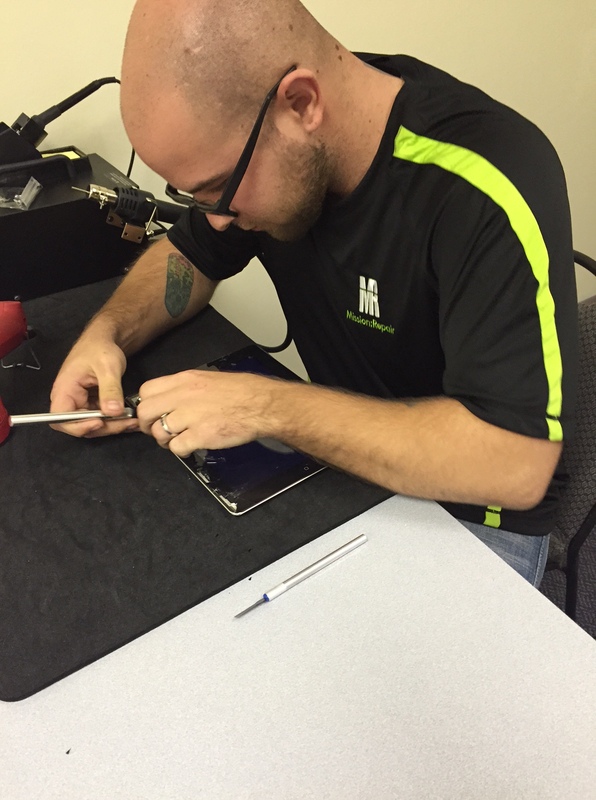 Chris replacing the cracked screen for our very first iPad Repair at this new location! This entry was posted in ipad 2 screen repair, ipad 3 screen repair, iPad Air Repair, iPad mini repair, ipad mini screen repair, iPad Repair, Walk-in Repair and tagged ipad repair colorado, ipad repair denver, ipad repair lakewood, iphone repair Denver, iphone repair lakewood, ipod repair denver. Bookmark the permalink. ← Mission Repair East or West?